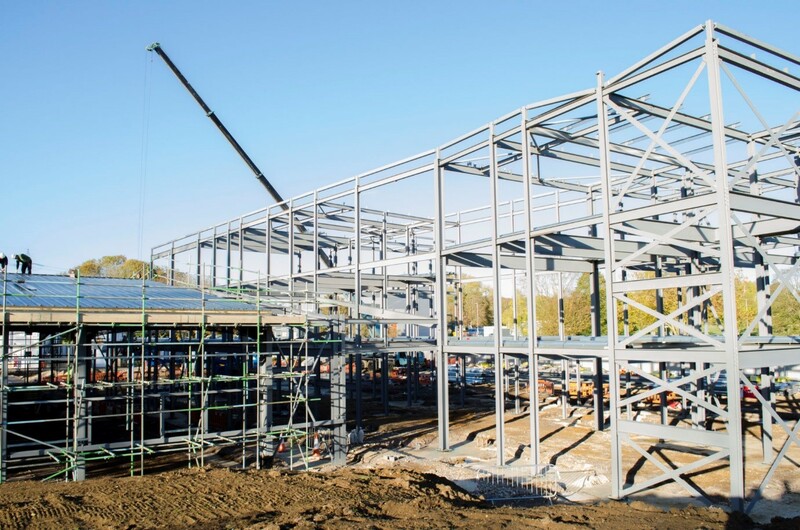 Construction of the new Oxfordshire Advanced Skills (OAS) apprentice training facility is advancing rapidly with structural steelwork and the roof of the 3,800 square metre training workshops already up. The new building will be able to accommodate up to 350 apprentices, with industry-standard equipment covering a wide range of engineering and technology disciplines. The centre will be equipped with labs and workshops specifically designed for training in engineering disciplines including mechanical, electrical, robotics and PLCs, vacuum, cryogenics, fluids and control & instrumentation to name but a few. OAS is working with local businesses to ensure the new building’s capabilities meet their needs. Sixteen of the region’s top employers sent over 80 apprentices and HNC students to the existing temporary OAS centre, based at Culham Science Centre, in September 2018. 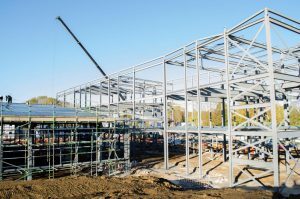 The newly named training provider Advanced Manufacturing Training Centre (AMTC) will bring a wealth of experience and cutting edge technical knowhow to train OAS apprentices when the new building opens in September 2019.